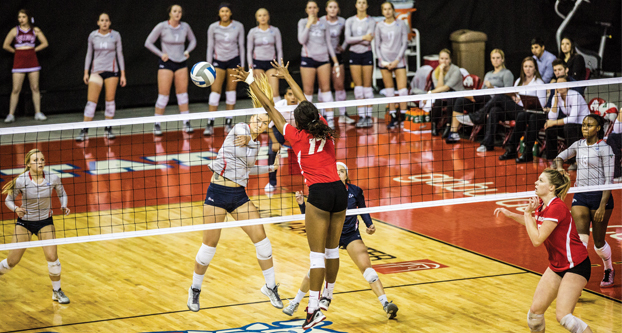 The Fresno State women’s volleyball team fell in straight sets to New Mexico 3-0 on Saturday at Save Mart Center. With the win, the Lobos swept the season series against the ‘Dogs. The starters for the ‘Dogs (14-15, 6-9 MW) in the match were senior Zana Bowens, juniors Brooke Legaux and Maggie Eppright, sophomores Carly Scarbrough and Lauren Torres and freshman Gertu Vider. In the first set, the ‘Dogs took the lead early, but the Lobos (14-13, 7-7 MW) battled back to take the lead 13-11. The ‘Dogs and Lobos would go back and forth throughout the entire first set as there were three lead changes and 10 ties. Fresno State tied things up once again 23-23, only to see the first set slip away to New Mexico, 25-23. The second set between the conference rivals was closer than the first as the ‘Dogs jumped out to a lead of 10-7 to only see it disappear as the Lobos went on an 8-2 run to take a 15-12 lead. The ‘Dogs found themselves in a tie with the Lobos 24-24, and once again the Lobos took advantage and put the second set away, winning 26-24. Set 3 featured another highly contested bout. 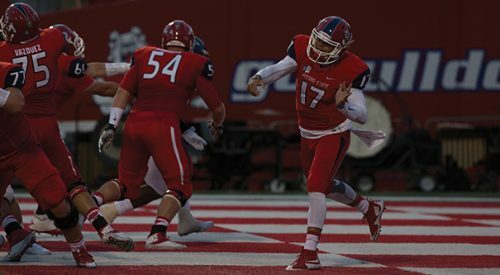 The ‘Dogs had an early lead of 10-7 only to let it gradually slip away as the Lobos tied things up once again 17-17. 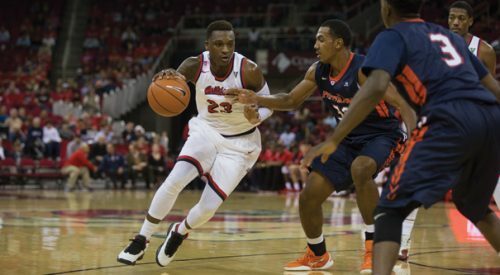 New Mexico went on a 3-0 run to take the lead 20-17. The ‘Dogs fought, but it was not enough as the Lobos held onto the lead and finished off the ‘Dogs for good to clinch the 3-0 sweep. Scarbrough led the way with 12 kills on 31 attempts , 21 total assists and 12.5 points credited to her. Up next for the ‘Dogs will be their final home game against Wyoming on Wednesday, in which seniors Jelena Jovanovic and Bowens will be honored as part of Senior Night.